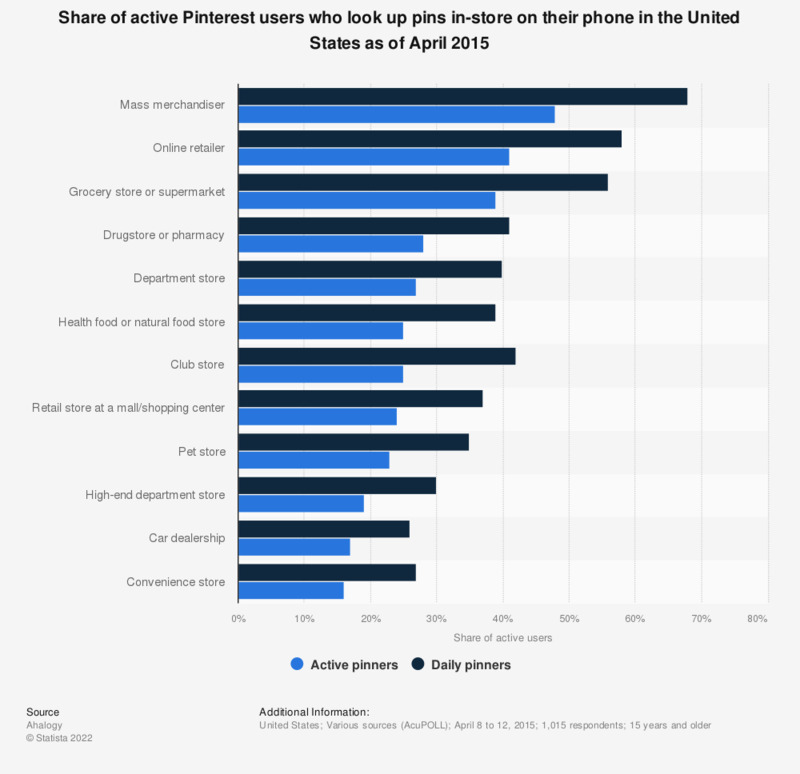 This statistic presents the distribution of active Pinterest users who look up pins in-store on their phone in the United States as of April 2015. During the survey period, it was found that 58 percent of daily active pinners looked up pins for online retailers on their phone while shopping in-store. How often do you use Vimeo?